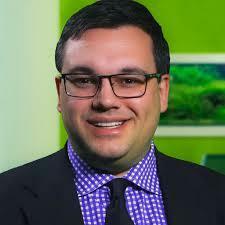 NEW ALBANY, IN--(Marketwired - June 22, 2015) - Colin Receveur, a national speaker who provides Internet marketing for dentists, will be featured on a special hour-long webinar hosted by the leading dental consultant firm Capacity Academy. During the webinar, which will air 7 p.m. EST on June 23, Receveur will discuss ways dentists can increase their overall collections and attract the right patients to grow their practice. Receveur founded SmartBox Web Marketing in 2001 and uses a unique patient-attraction system to bring dentists more patients, more profits and more freedom. "I'll be giving away some of the biggest secrets that dentists can use to drastically increase their number of patients and overall collections," Receveur said. "Our clients not only dominate their local markets, but our marketing tools and campaigns link them with the patients they want to see." Dentists can sign up for the free Capacity Academy webinar at http://yfcuqx75.megaph.com/?skip-tracking=true. Capacity Academy, founded by Dr. Chris Griffin, offers practice organization and business mentorship opportunities to private dental practices across the country. Receveur will deliver important information for dentists with unproductive marketing campaigns or those who have websites that are not attracting new patients. "Some dentists have spent an arm and a leg on marketing campaigns and are not seeing results," Receveur said. "Using our patient-attraction system and marketing tools, dentists can actually prequalify their patients and attract the patients who can benefit from the services they want to promote." The webinar is part of SmartBox Web Marketing’s ongoing partnership with Capacity Academy. In August, SmartBox Web Marketing will sponsor a two-day Capacity Academy seminar in Nashville. Receveur will give the keynote address during the 4th Annual Dental Innovation and Technology Summit and be accompanied by a special mystery guest. SmartBox Web Marketing offers an industry-leading dental web marketing system that includes web design; content management; video and multimedia productions; phone call tracking; customer-relations management; search engine optimization; blogging; social networking; mobile marketing; and reputation enhancement. SmartBox Web Marketing is a top five certified partner worldwide of Infusionsoft, a global automated software provider, and the company’s number one partner exclusively serving dentists. Infusionsoft provides automated sequence and marketing campaign builders that help small businesses and entrepreneurs grow their company. Receveur is a nationally recognized speaker, author and Internet marketing expert. He has been featured in numerous dental publications, including Dental Economics magazine’s Dentistry IQ Video series and on the cover of The Profitable Dentist. SmartBox Web Marketing also has been featured as the corporate profile in Dentaltown, the number one dental trade magazine. He also is the author of four best-selling books: The Dentists’ Strategy Guide to Video Marketing, How to Stay In Front of Your Patients Until They Are Ready to Buy, Web 3.0: What Every Dentist Must Know to Thrive in the New Economy and Attract More Patients in the Next 6 Months than in the Past 6 Years. To see how SmartBox clients have more than quadrupled their collections, sign up for Receveur’s latest book at www.MoreAndBetterPatients.com. SmartBox Web Marketing’s office is at 819 Mount Tabor Rd., No. 8, New Albany, Ind., and can be reached at (888) 741-1413. Colin Receveur founded SmartBox Web Marketing, dentists' top choice for Internet marketing services, in 2001. SmartBox now works with more than 360 clients on three continents. Colin Receveur is a nationally recognized speaker, author and Internet marketing expert. He has been featured in numerous dental publications, including Dental Economics magazine's Dentistry IQ Video series and on the cover of The Profitable Dentist. SmartBox Web Marketing also has been featured in Dentaltown, the most prestigious trade magazine in the field of dentistry. SmartBox Web Marketing is a top five certified partner worldwide of Infusionsoft, a global automated software provider, and the company's number one partner exclusively serving dentists. Infusionsoft provides automated sequence and marketing campaign builders that help small businesses and entrepreneurs grow their company.